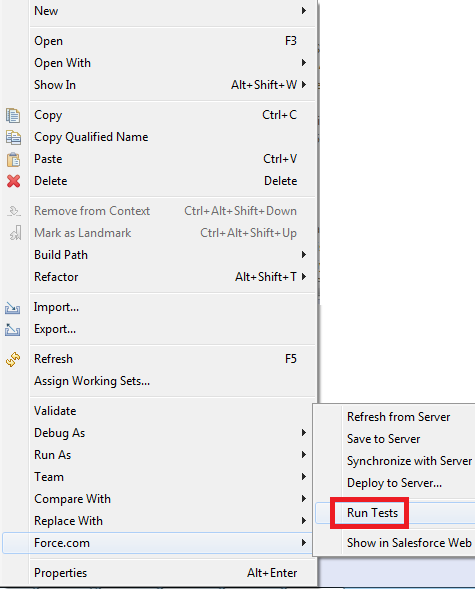 Infallible Techie: How to run test class using Eclipse Force.com IDE in Salesforce? How to run test class using Eclipse Force.com IDE in Salesforce? Right Click the class --> Force.com -> Run Tests.